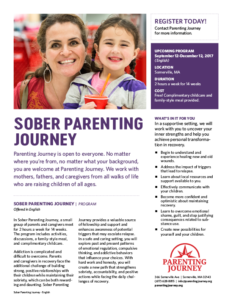 Sober Parenting Journey offers a safe space for parents in recovery to build skills with parents and facilitators who understand the unique challenges of raising kids while fighting addiction. 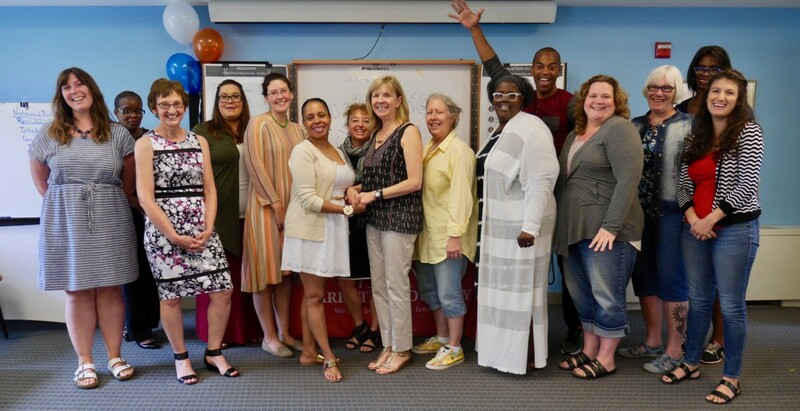 Our spring newsletter highlighted Sober Parenting Journey’s revitalized curriculum; Delores is now training facilitators to expand the program to other organizations. For AnnMarie Teuber, who co-led alongside Delores Reyes, the first-ever Sober Parenting Journey facilitator training was her last after two decades of work with Parenting Journey. We thank her for tireless work as an advocate for stronger families. Click here to learn when the next Sober Parenting Journey Program will be offered. Click here to learn when the next Sober Parenting Journey Facilitator Training will be offered.